With a focus on software, technology-enabled services and media, Tom helps DCM Ventures portfolio companies create high-growth marketing strategies, structure successful strategic partnerships and build strong management teams. Tom has a particular focus on innovation in the financial technology arena and technology and services that empower entrepreneurs and small businesses. He led DCM Ventures’ previous investments in PayCycle (acquired by Intuit), HireRight (IPO on NASDAQ; then acquired by USIS), Jaspersoft (acquired by Tibco), Caring.com (acquired by Bankrate) and Vendavo (acquried by Francisco Partners). His current board seats include AdSpace Networks, Bill.com, Exablox, SavingStar, and Vindicia. Tom began his technology start-up career with a six-year stint at Intuit, joining the then-private company a month prior to the launch of Quicken for Windows 1.0. He held a variety of marketing, business development and general management roles in several divisions, capping off his tenure as General Manager of the QuickBooks business. 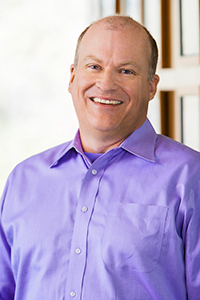 After leaving Intuit and prior to joining DCM Ventures, Tom spent three years at two Internet start-ups, Encanto Networks and Fatbrain.com (formerly computerliteracy.com). At Encanto, Tom served as Vice President of Marketing. At computerliteracy.com, Tom was an advisor to the company from its birth in the proverbial Silicon Valley garage through completion of its first venture-backed financing, joining the online professional bookstore as Vice President of Marketing and Editorial in 1997. After business school, Tom worked as a consultant for Bain & Co. in San Francisco and Boston. Tom grew up in Allentown, Pennsylvania (yes, the one in the Billy Joel song), but immigrated to California in 1980 to attend Stanford University (most of his friends at the time asked if that was in Connecticut). As if Silicon Valley didn’t have enough charms of its own, he met his wife Sheri, a fourth-generation Californian, at Stanford, thereby ensuring permanent residency in the Bay Area. Tom holds a B.S. in Mechanical Engineering with distinction from Stanford University, as well as an M.B.A. with high distinction from the Amos Tuck School at Dartmouth College, where he was an Edward Tuck Scholar. Tuckies, please register for lottery.